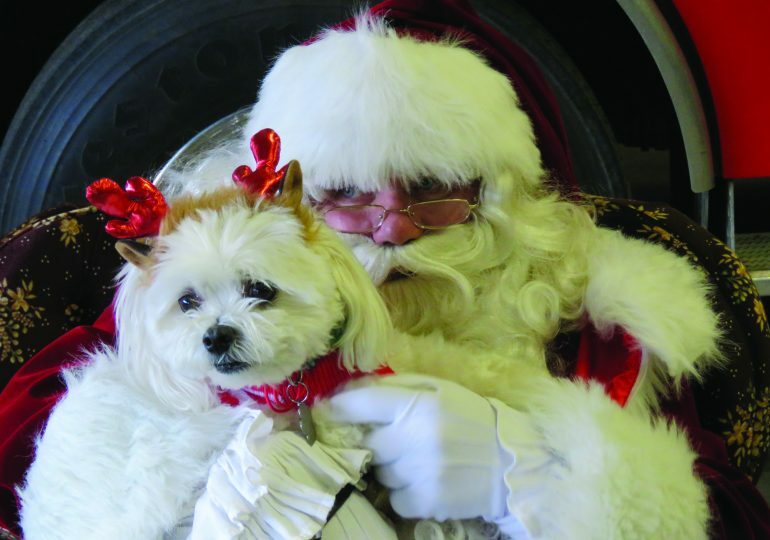 CALEDONIA—Santa took this photo with a dressed up pup at the Caledonia Fire Hall on December 1, 2018. 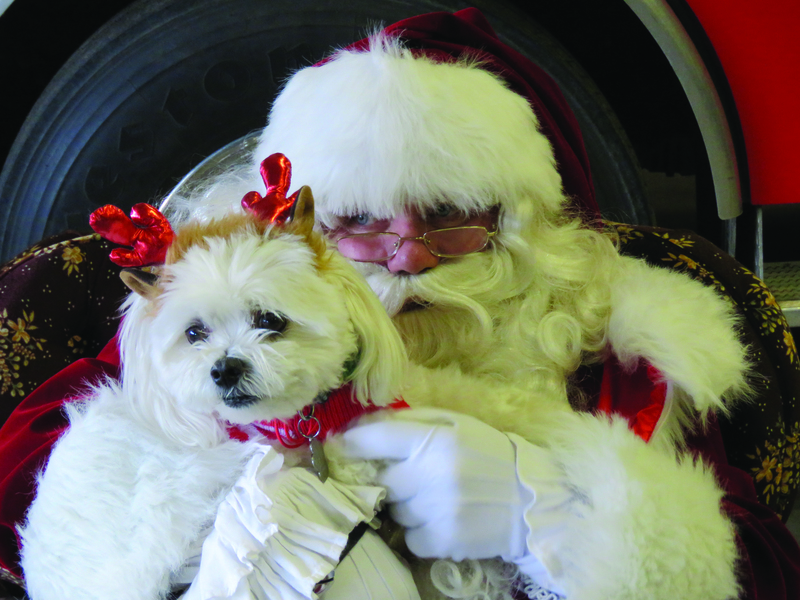 You can find him this Saturday, December 15 for photos at Darrick Davidson Fireplaces, 49 Argyle St., N. from 9 a.m. to 12 p.m. —Photo courtesy of Rick Grant. 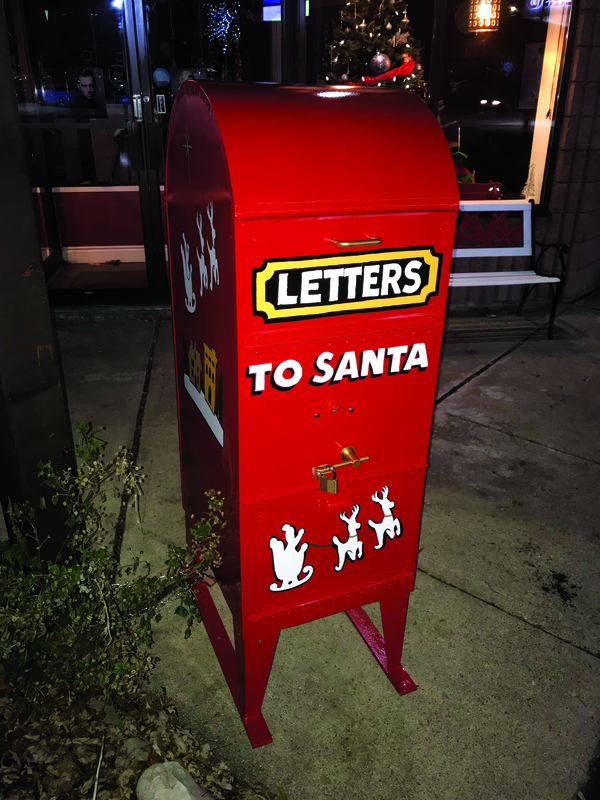 CALEDONIA—Mail your letters to Santa at the Caledonia BIA’s festive, red letter box at 127 Argyle St. S., Caledonia (The New You plaza). 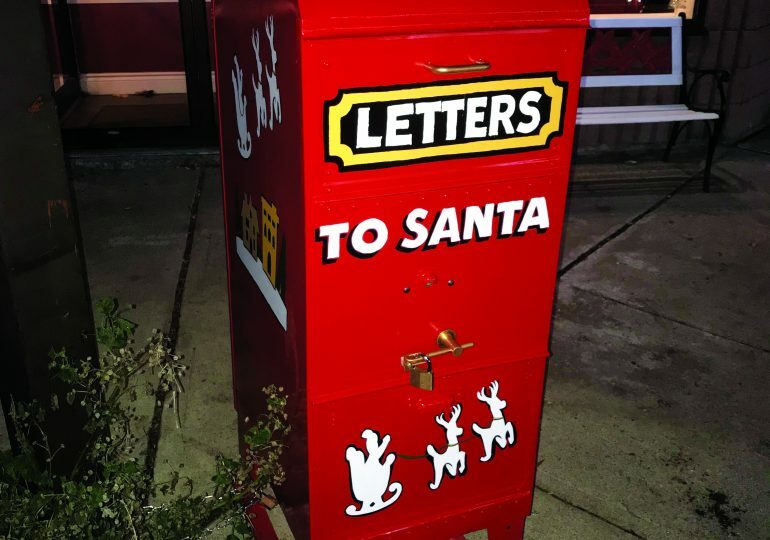 Your letter will be sent to The North Pole via Special Deer-livery! —Haldimand Press photo by Jillian Zynomirski. 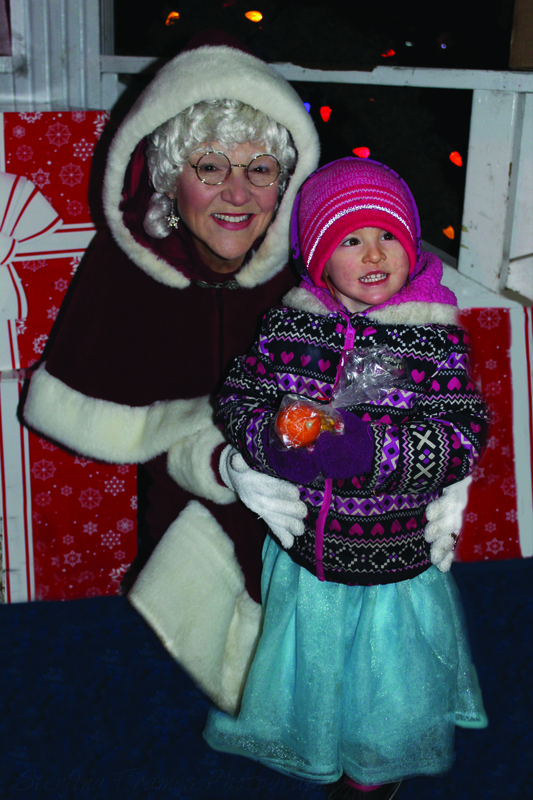 Mrs. Claus posing with a little girl. 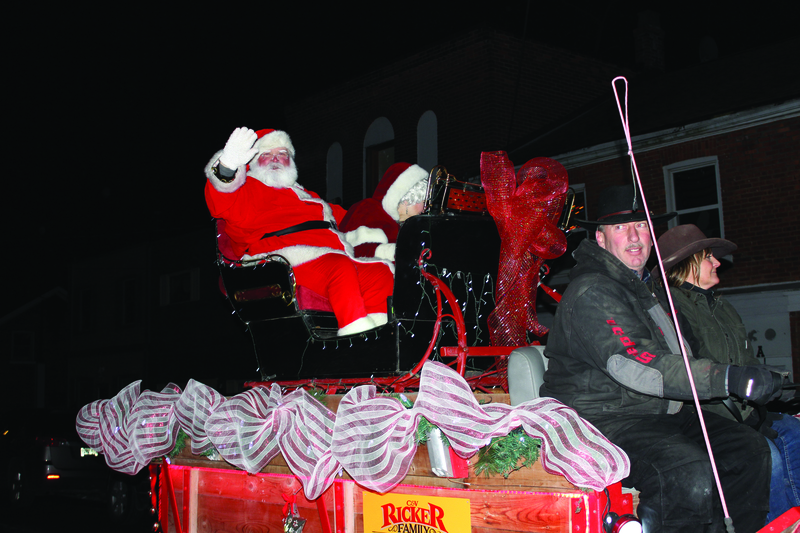 CAYUGA—The parade finished off with the big man in red travelling through the streets in a sleigh that was refurbished with help from the Cayuga Light Up Night committee. 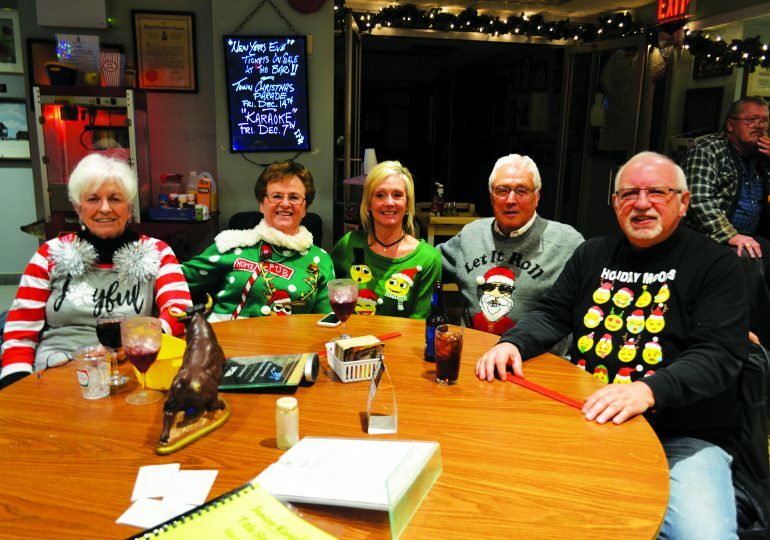 —Photo courtesy of Marsha Sumner. 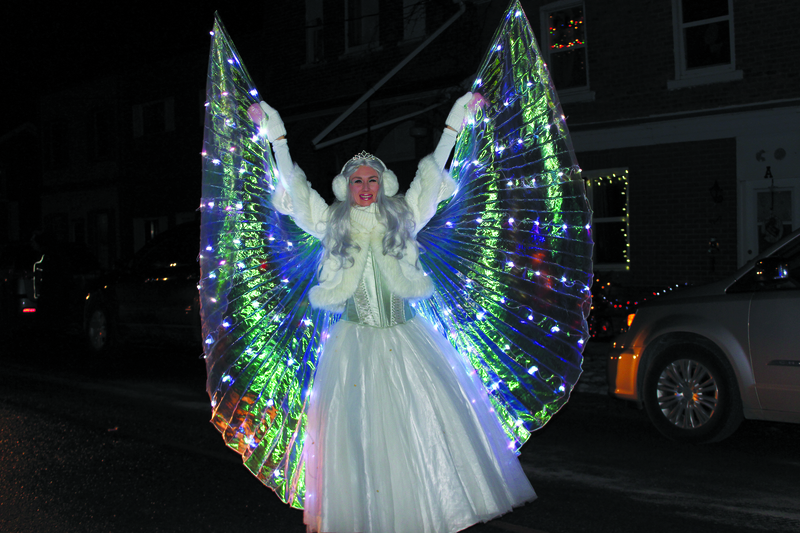 CAYUGA—The Snowflake Princess helped make Cayuga a little brighter during their annual Santa Claus Parade and Light Up Night on Friday, December 7, 2018. 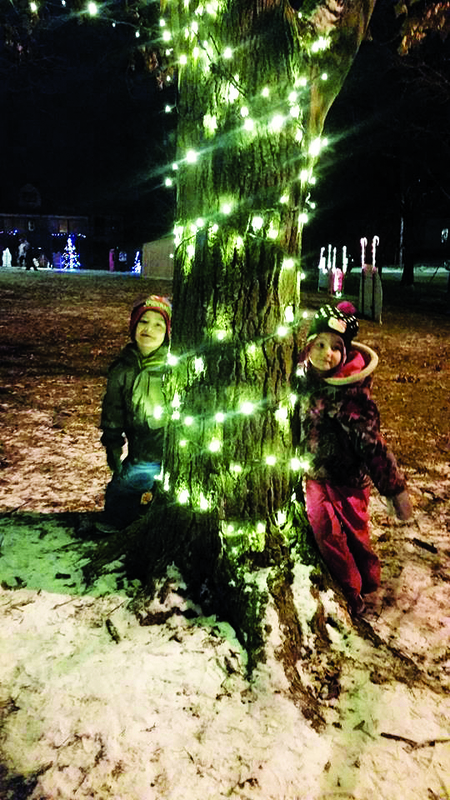 The event, which is hosted by the Cayuga Chamber of Commerce, included a new, pyrotechnical light show done to music to celebrate 25 years for the Light Up Night. —Photo courtesy of Marsha Sumner. 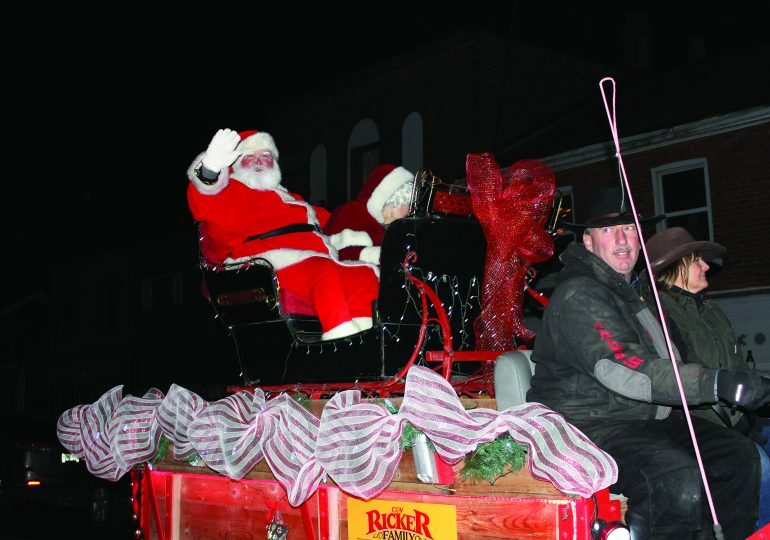 CAYUGA—Santa visited the Village Green in Cayuga on Friday, December 7, 2018 after traveling through the streets in the annual parade. 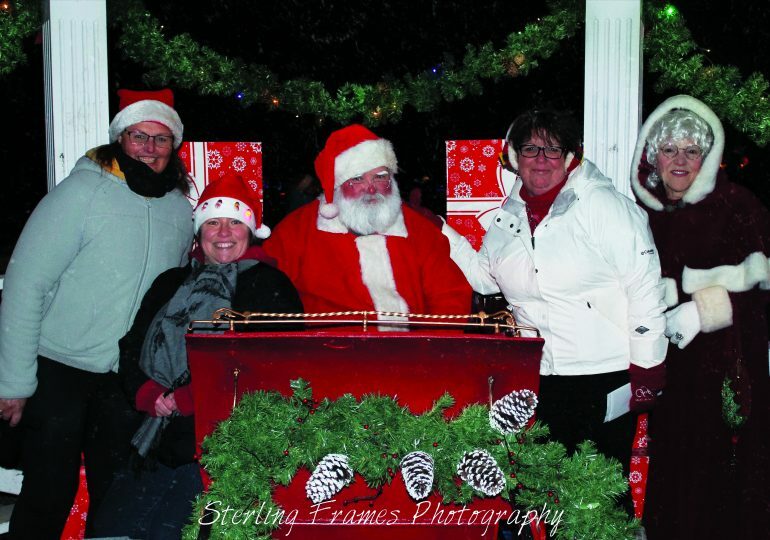 Shown here are (l-r) Ruth Corlis, Marsha Sumner, and Reesa Spitman with Santa and Mrs. Claus. —Photo courtesy of Sterling Frames Photography. 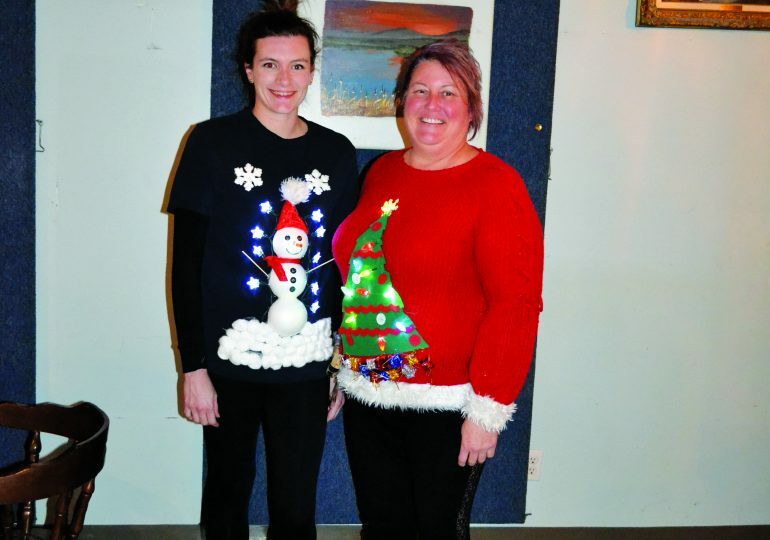 Pictured are: Victoria Snowden (left) of Simcoe and Sheri Campbell of Hagersville. “This is a gathering just for fun because music unites us.This is fun, not just for the people who sing but people like to watch and sing along. 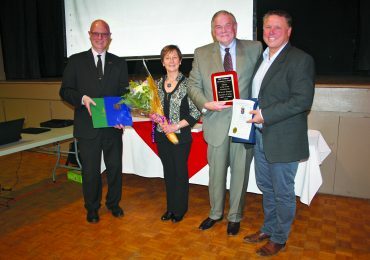 Music just has this way to bring us all together,” said Janice Doyle, host of the evening’s events. 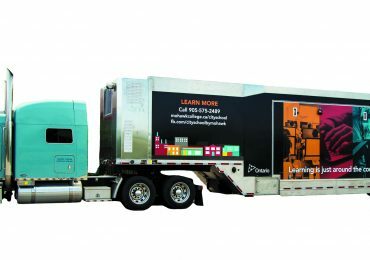 —Haldimand Press photos by Valerie Posthumus. 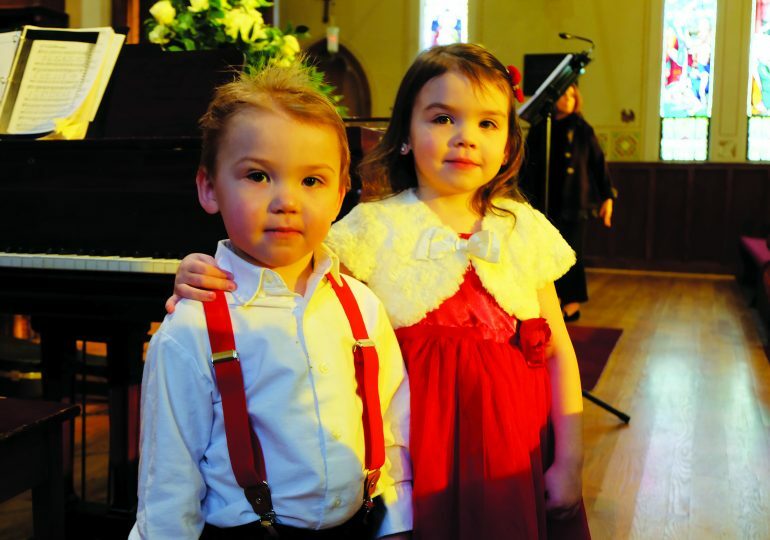 Brother and sister Aleksandras, 2, and Arija, 4. 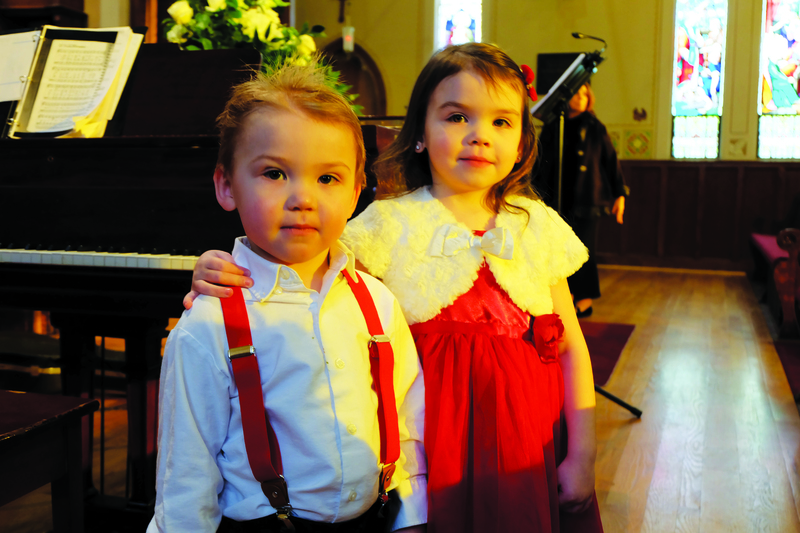 DUNNVILLE—St.Pauls Anglican Church hosted a beautiful Christmas concert on Saturday, December 8, 2018. 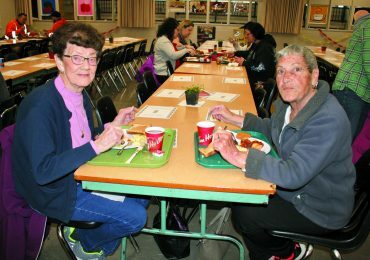 Everyone was welcomed with open arms to enjoy the concert and stay for refreshments. 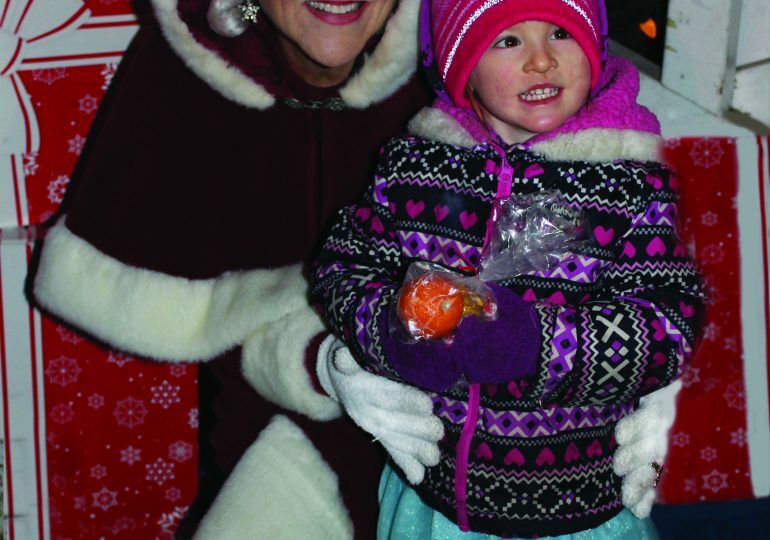 The aisles were filled with smiles and Christmas cheer. 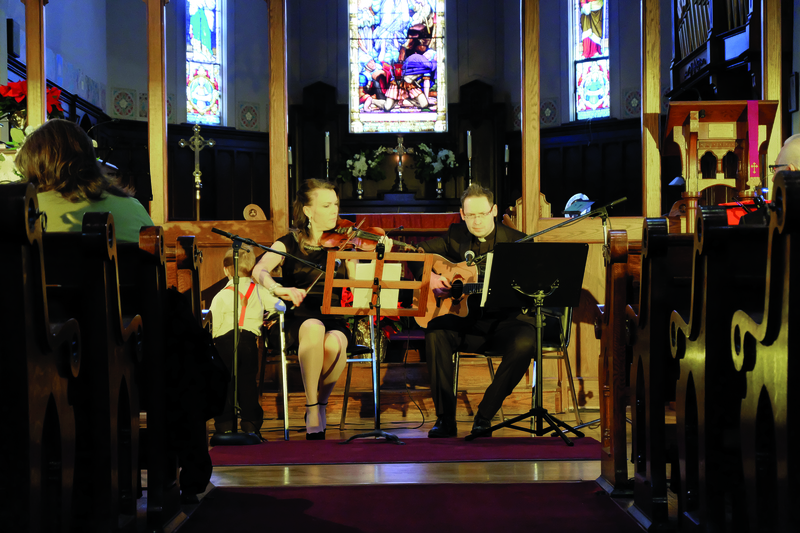 Music rang through the church and songs filled hearts with joy and prayer. 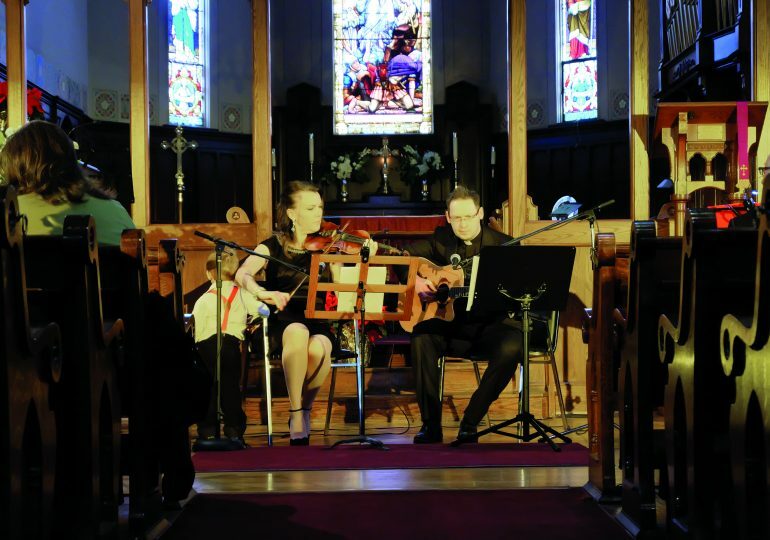 At left: Wife and husband Audra (on the violin) and Audrius (on the guitar) perform Lulajze Jezuniu. 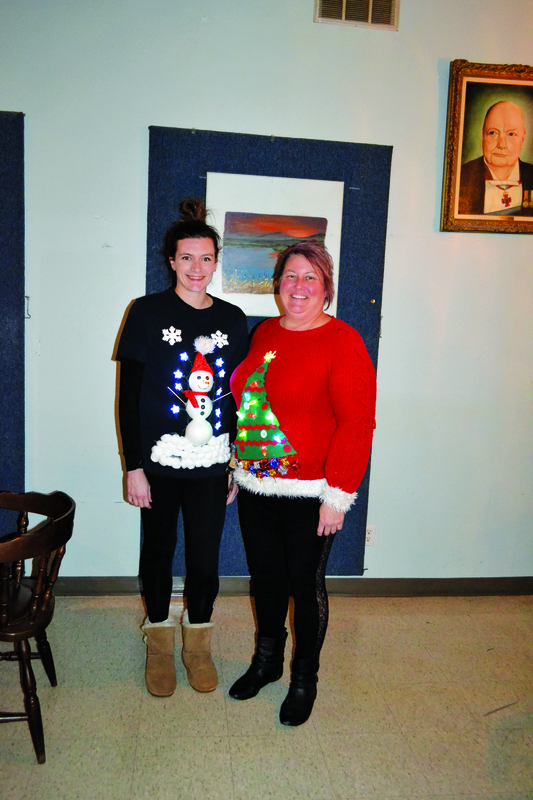 HAGERSVILLE—The place to be on December 7, 2018 was the Hagersville Legion, Branch 164, for their Ugly Christmas Sweater and Karaoke Night. 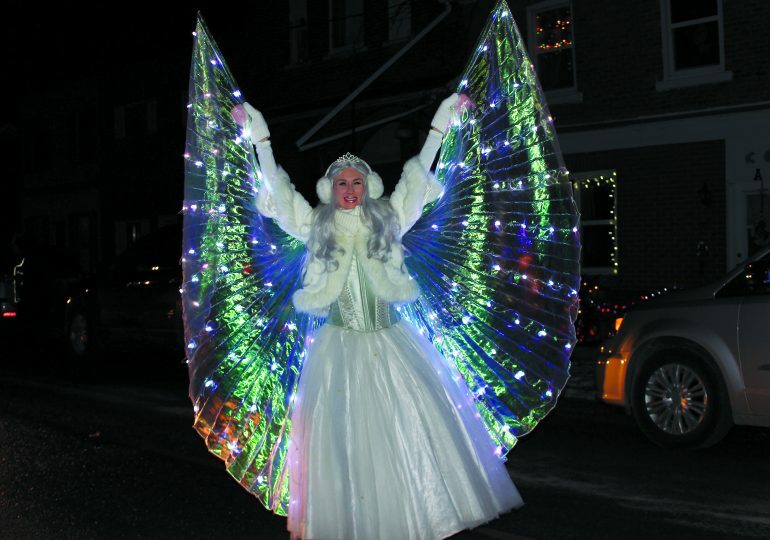 Early in the evening, about 60 people had already gathered for the festivities. 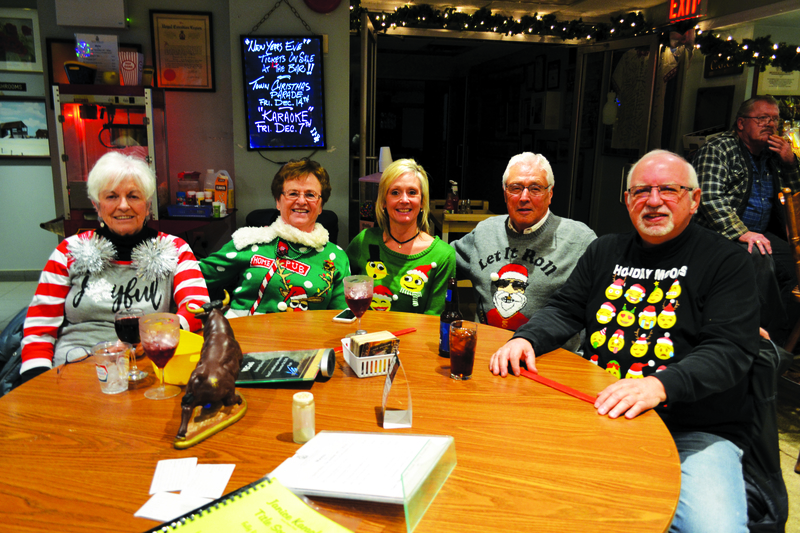 Pictured are: Mary Young, Molly Smith, Sally Smith, Larry Smith, and John Simington. 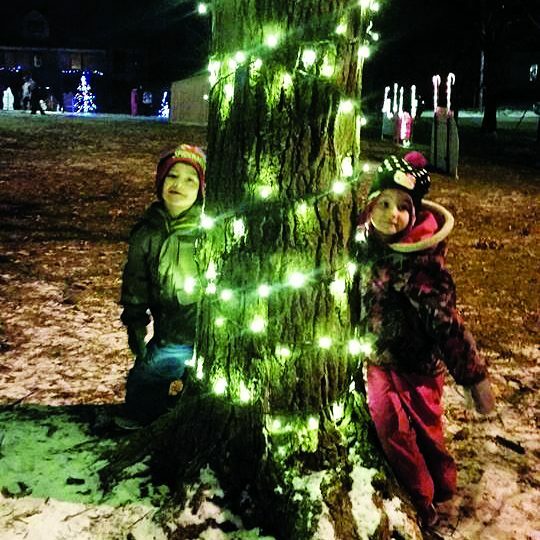 Harmony and Aiden Nagel posing with a lit up tree. 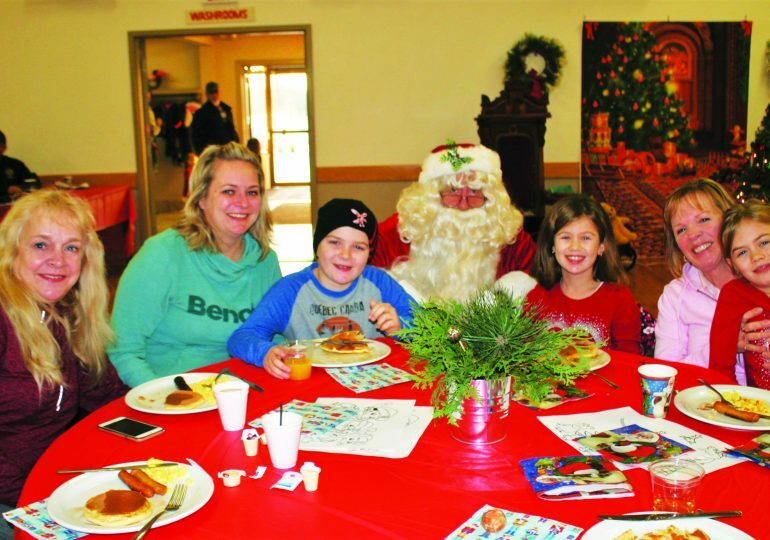 JARVIS—The Jarvis Lions’ Breakfast with Santa on Saturday, December 8, 2018 at the Jarvis Community Centre was an opportunity for families to share in the holiday spirit while enjoying a delicious breakfast. 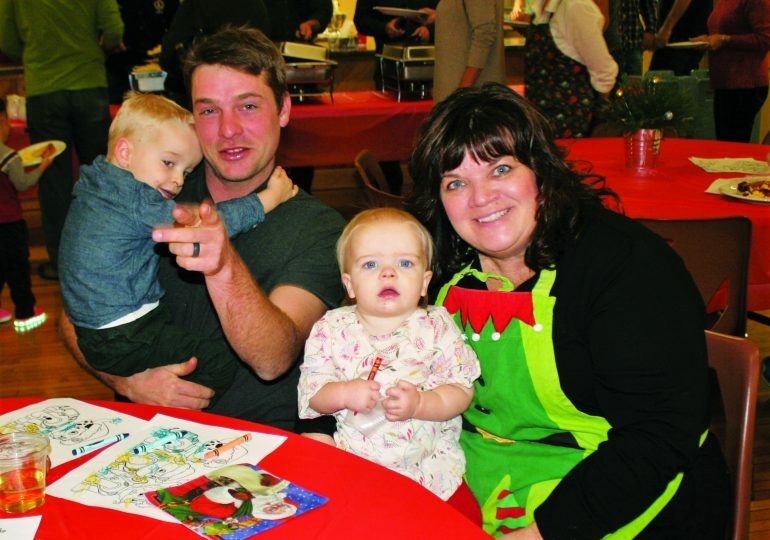 Pictured (l-r) are: Bella McBride, 15, Carrie McBride, 13-month-old Daylen, and his mom, Maddie McBride. —Haldimand Press photo by Sheila Phibbs. 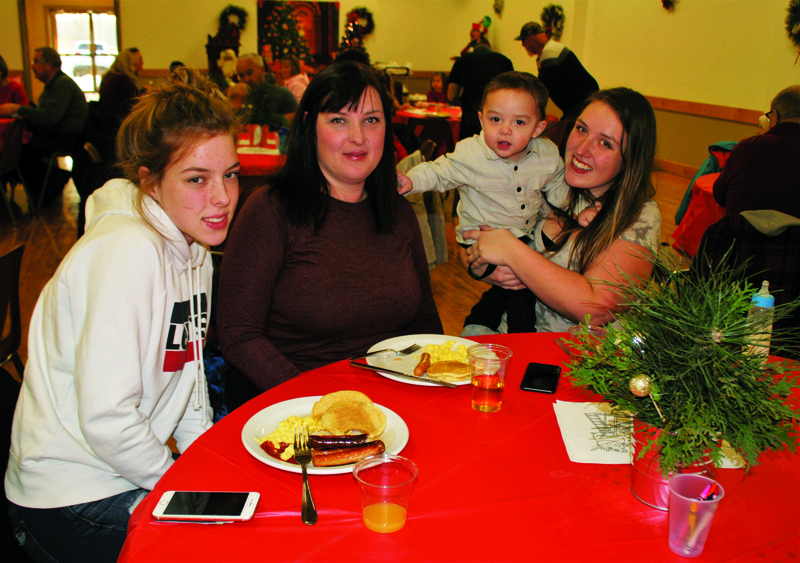 JARVIS—The delicious Jarvis Lions’ Breakfast With Santa meal included sausage, pancakes, eggs and juice, which were donated by Devine’s Restaurant. 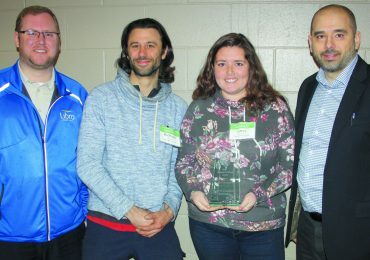 The event was sponsored by various local businesses. 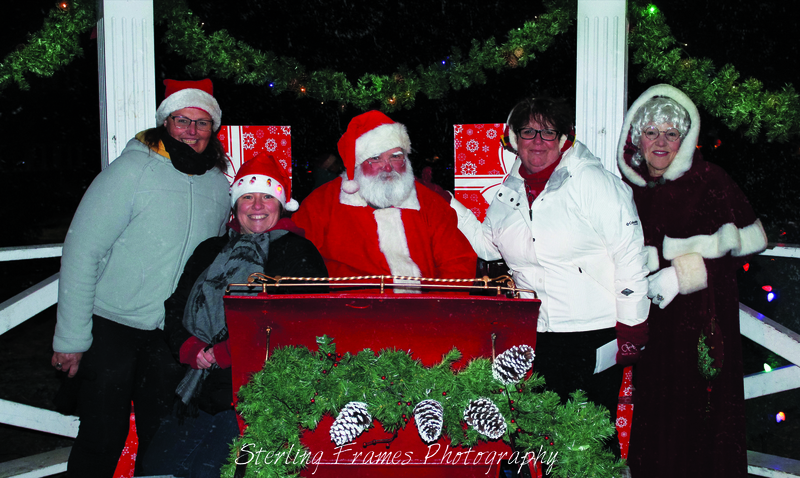 Pictured (l-r) enjoying a moment with Santa are Yvonne Porter, Nikki Montague, Ryley Montague, 9, Aubrey Montague, 9, Terry Montague, and Paige Montague, 7. —Haldimand Press photo by Sheila Phibbs. 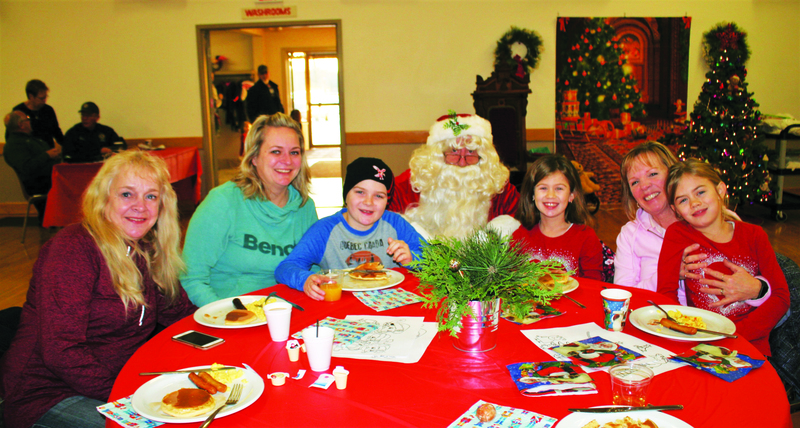 JARVIS—Many children had fun colouring holiday pictures during the Breakfast with Santa in Jarvis. 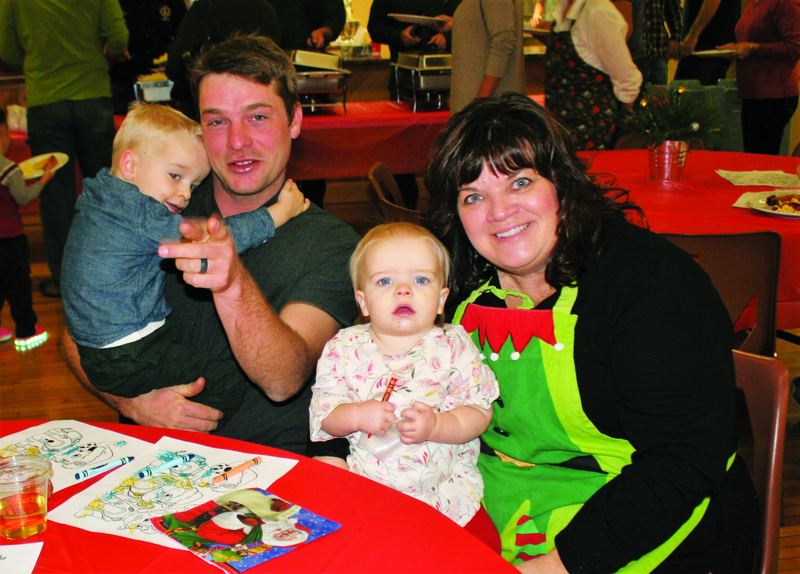 Pictured (l-r) are: Kenton Schweyer, 2, with his dad, Jake Schweyer, Hallie Schweyer, 1, sitting with her grandmother, Lee Bowen. 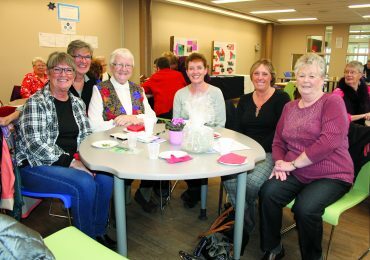 —Haldimand Press photos by Sheila Phibbs. 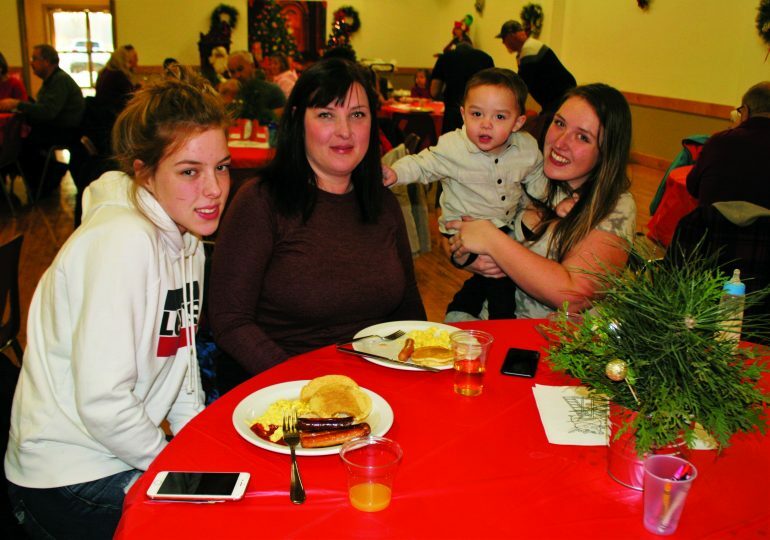 LOWBANKS—Santa made his way to the Lowbanks Community Centre on December 9, 2018 to enjoy a pancake breakfast and take some photos with the kids. 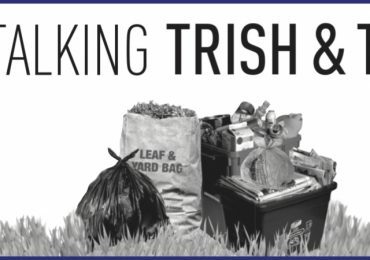 This free event was hosted by Margaret Cameron, salesperson at Keller Williams Complete Realty. 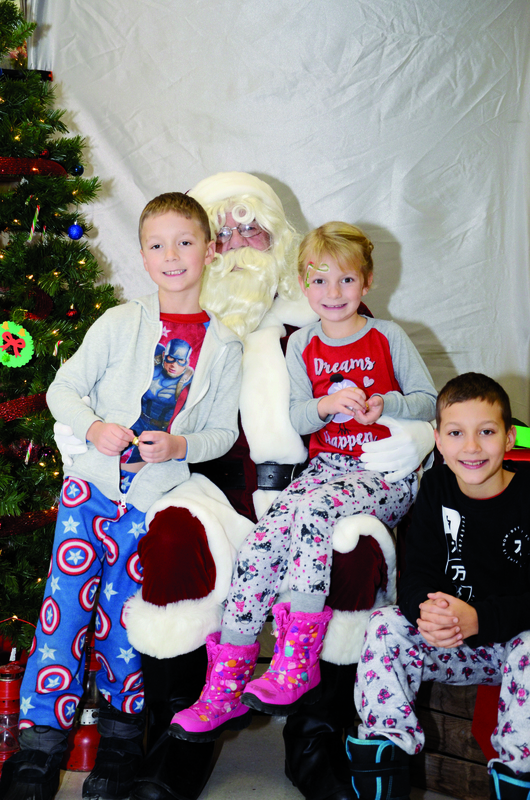 Over 100 kids came out in their pajamas for some crafts, face painting, and of course to see the big man himself. 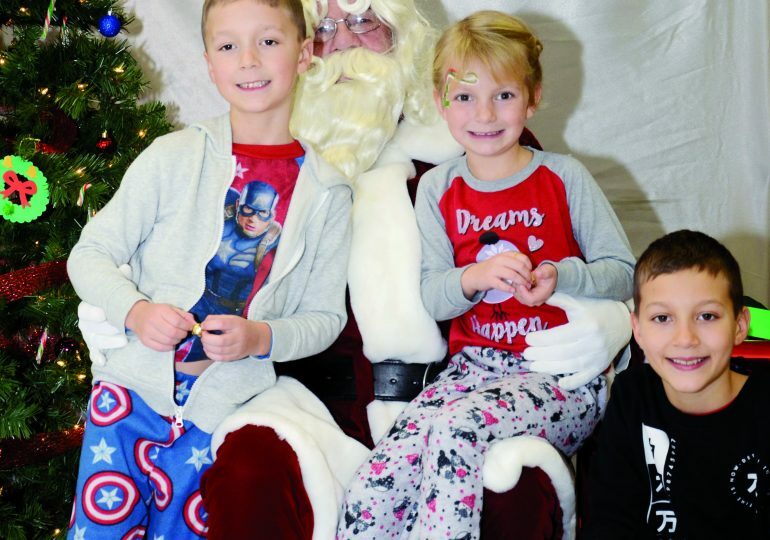 Pictured above (l-r) are Ben, Victoria and Michael Styles with Santa. 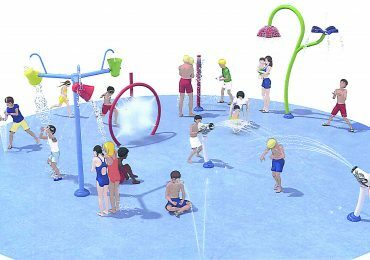 Some of their requests included a water bottle, hoverboard, and a pair of rollerblades. —Photo courtesy of Canopy Boulevard Photography.